"More affordable and functional than the rest." Importing .csv and routing multiple drivers within minutes. Instead it works like: draw over stops, assign to driver 2, stops become unassigned, need to hit plan routes and make sure no other driver is selected. It took a bit of experimenting to learn how to use this function while everything else was very easy to learn at a glance. This software will cut down on labor hours considerably thanks to .csv importing and adhering to your specific needs. We've had issues with our client sending the list of stops at the end of the night requiring planners to accumulate overtime as manual routing took up to 4 hours. -Importing, rather than manual typing everything. -Ablility to route based on time window / priority, most only use distance based routing. It would seem that routing based on time windows would be an absolute necessary function of any routing software, but this is not the case. Exploring OptimoRoute, we have found that the projected ETAs have helped train new dispatchers on estimating ETAs for clients more than two stops ahead on a route. We also are able to show our bosses how unrealistic it is to expect less drivers with more stops with hard data and re-rolling routes with different routing methods (by time or by # of orders). "Efficient planning and complex problem solving"
One of our favourite Optimoroute features is that it can let our clients know the live tracking of our delivery team. Moreover, the assignation of routes is very efficient and logical. Sometimes we have to manually select some clients from some routes to reassign them into other routes to avoid long idle times during the shifts. Some time frames will have drivers waiting for almost 1 hour or 2 hours instead of optimizing right away and assigning those people from a non busy time frame to busier routes to complete them and leave the non efficient time frame for one driver blank so the driver can finish the shift in one time frame before. If you have a small business and have a fleet of 3-8 cars I would recommend you giving a try to this software to save you time and money in route planning and also improve customer and employee satisfaction with timely deliveries, accurate information and ease of use. Communication communication and communication. Our clients love knowing the status of their deliveries. Having email tracking is a great feature for our company because it helps us let our clients know everything about their deliveries. It would be lovely if Optimoroute could adapt some of the UBER interface and allow the admins of the corporate optimoroute accounts customize how the clients will see the status of their delivery. For example, posting pictures of the van that is doing the delivery, the name of the driver, the phone number of the driver so it can be a more special and personal experience. Love hearing we’ve helped with so many facets of your business, Henry! We are always appreciative of user feedback on features, and your input for a more personalised experience is intriguing. I propose contacting us at support@optimoroute.com. We would love to hear more comments about how we could make the software easier, as well as figure out a more convenient way to get the results you desire with minimal manual manipulation. Incredibly optimized algorithm for large routs with many drivers. It is possible to add many different types of constraints so the optimized route reflects our delivery scenario properly. One of the best features is the OptimoRoute app. We can track our drivers in real time and see how they are performing. With OptimoRoute's API it is also possible to connect our system with their's that enables us to create a better user experience for our customers. New features are being added regularly which is very important for our market that is very competitive and technical. This product give us a much needed edge. Everything that we disliked in the beginning has been fixed. If the geo-location is not perfect for you country they can switch to other internal systems that might work better. Each driver has a lot of stops in his routs that needs to be delivered very efficiently to lower costs. OptimoRoute makes that possible. Thank you for your feedback! We think you are pretty awesome too. And we are therefore proud that OptimoRoute gives you the edge you need and tools to continue to grow. Let’s keep going with more great stuff! "EASY AND CONVENIENT TO USE"
As a small company owner I've been saving miles, gas and the most important saving, my own time!!! I can plan 8 routes in 3 difference cities in less than 12 min, I used to spent 2 hours doing manually. What I don't like is some features like proof of delivery, shipping label printed are still missing in the platform. Also if you have warehouses in differences cities you need to open one account per city. Thank you for your feedback! So great to hear that you are seeing time and money wins using OptimoRoute. It means a lot to us that we can make such a difference to large and small companies alike. Stay tuned for feature updates! We hear you and we think you will love what’s coming next. "Very good for my business needs, but I've never used another competing program." Altering the duration of a scheduled stop to keep our routes accurate. Having our hyperlinks right there in our drivers' e-mail. Viewing the timeline at any point in the day to see where a driver should be right now. One feature I could really use is to search an address and find out exactly if and when we were ever at that address before. Also, I do not know exactly what my company owner pays for this program, but I understand that it is expensive. We used to not give clients a time window, just a day that we would arrive. Obviously, the ability to use a time window has allowed us to cooperate with clients who need that. Thanks for your feedback! We are so pleased you like the software. Rest assured that your company is getting a powerful planning tool for a small-business friendly price. We come in far below our comparable competitors. There are a couple of ways to search for a past order, please contact us at support@optimoroute.com and we will go over the how-to. We have more tools coming out that can improve your customer service (want to plan with weeks of orders at a time? Allow your customer to track their driver’s arrival?) Stay tuned! We are always looking for ways to improve the routing experience. "Great service with very helpful support creating rep routes and analysis thereof." It would be nice if the route sharing was automated rather than having to log in every morning to share routes to the drivers apps. The ability to "track" sales staff in the field and identify key areas where we are either over/ under utilizing resources. We have identified overlapping service areas as well as clients in outerlying areas which can be serviced by telesales rather than a physical rep call. Thank you for your feedback! We take pride in offering a robust solution that is easy to use and are pleased you appreciate these aspects of the tool. Our continuous feature development is based on the needs of our customers, so you can feel confident that we hear you and have some great new features coming soon! We are proud that by using OptimoRoute you have further identified ways to increase productivity. "Works great, support is great, APIs are great"
The interfce to manage orders, routes and drivers is very easy to use and fast. We use the APIs to push and pull orders in to our system after Optimo does a great job routing. The work flow is great for us. We would like to get a few more features exposed in the API. Weekly routing and multipel time windows. We needed a solution to scheduling our work crews and order drop-offs and tried other Routing SAS providers. One of the others had buggy software and un-reliable routing algorithm and the other didn't have the APIs we needed. We now have reliable routes and great work-flow which allows us to optimize our crews and keep the management time to a minimum. Thank you for your feedback! We have an updated API for weekly planning and multiple time windows. Since weekly planning is still in Beta, please contact us to get specifications at support@optimoroute.com. We are very pleased our solution works well for you! "Optimoroute simplifies our logistics planning processes"
We manage a fleet of trucks across multiple systems and engaged with a number of companies over a 6 month period to find a route optimisation that suits our needs. Optimoroute provided an excellent quality solution with rich API support that allowed us to integrate seamlessly into our operations. This is backed up by a team that has given us outstanding after-sales support. I'd also have to say that the ability to strike a balance between producing a fleet-optimal route and one that spreads fair workload across our drivers is fairly key to the success of adopting the platform and is a popular feature with our team. The actual route planning each day is conducted by our dispatch managers who are drivers by trade. I'd love to see more work put into the web interface, specifically the ability to visually manipulate the output of the optimiser by drag-and-drop. This doesn't prevent us from benefiting from Optimoroute, but it would allow us to integrate our operations more tightly with their platform. This is a great solution, especially if you need to model special fleet features or multiple capacities (i.e. volume + weight + other limits simultaneously). Hey there! We pride ourselves on our efforts to help everyone get the most from OptimoRoute, so it’s wonderful to hear about your successes. Drag and drop is a feature we will be developing in the future; send us an email at support@optimoroute.com and we’ll notify you once it reaches BETA. "Who doesn't want to get more work done without working any more hours in a day?" The software engineers at OptimoRoute take their time to listen to what each company is trying to achieve, then they go back and re-write their software so that you can get it done in the most cost effective way. Nothing! Every suggestion to make the software work better for our company has been taken, worked into the software, and pushed back out to us with minimal turnaround time. All you have to do is ask! Just do it! Who doesn't want to make more money every day by getting more work done and not working a single minute more than you are right now? We have customers in five different states and 20 service technicians. OptimoRoutes allows us to have our drivers get more work done in less time by maximizing the orders and routing. Customers are able to get a two hour window of our arrival, and on average every technician is getting to one more job a day and not working a minute more than they were before. As a company, this translates to 20 more jobs a day being done in the same amount of payroll hours. Woohoo! We work hard to make sure that OptimoRoute is the best solution available, and that is possible from relationships we build with our users. Can’t wait to show you what’s coming next! "Optimo Route saves time and money." I have 10 service vehicles that do 50-60 jobs daily. 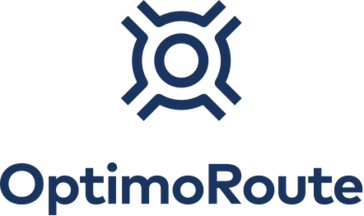 Optimo Route makes scheduling and dispatching so much easier. The API integration with my current Work Order software make the daily schedules so much faster. Customer service especially Sarah is very helpful with any questions or issues. I wish there was a gps option that I could attach to my vehicle not to a mobile device. If you want to save time and money this is a must. Saves time routing jobs, saves gasoline, keeps jobs with time schedules more on time. Thank you for your feedback!. We pride ourselves on our customer service, but we agree that Sarah is great ;). "OptimoRoute has aided our business with the ability to manage our fleet of vehicles and overtime "
Sometimes the system doesn't identify the correct site and even select a site in another country. Better understanding of our productivity, provides the most efficient route for our fleet of trucks, enables us to provide a run sheet for each truck the day in advance and shares the workload. Gives is the understanding of when overtime may be required and monitor the need for overtime. Thank you so much for your feedback! We encourage customers to review the import for flags of Partial Matches or Multiple Results. This should significantly reduce the incidence of incorrect locations. If this doesn’t do the trick, please contact us at support@optimoroute.com and we will work with you on a streamlined solution. We are so happy to hear our solution improves your efficiency, driver satisfaction and costs. "The best route planning software available"
We needed to have a fast and automatic way to plan the delivery routes of many delivery boys. With Optimoroute we have been able to scale our business very fast. Thank you so much for your feedback! We think you are pretty awesome too. We are always working on ways for our software to be the best, most efficient solution, meeting all your delivery needs. Stay tuned! And congratulations on your meteoric success. I like the real time tracking, and easy for drivers to use. Google's coordinates are sometimes inaccurate sending a driver 5+ miles away from correct location. The capability to send routes to the drivers at a certain time. Being able to import routes makes us more efficient. Being able to track the completed jobs saves us time. Thank you for your feedback! We’re thrilled to hear our you and your drivers like our app! Please contact us at support@optimoroute.com so we can go through a workflow on getting more accurate addresses consistently. We would love for all aspects of your route planning and route management to be smooth and super-efficient! "Best route planning app available in the price range"
Very accurate locations and easy to import customer orders. Hi! We strive to provide value far exceeding the cost of the software. It’s our hope that OptimoRoute can help you grow and add more value. "Leaves Streets and Maps in the dust"
Does the grunt work of sorting routes in a fast, efficient, and visually pleasing way. App is being continually improved. Affordable. Time distance between stops is often inaccurate - a distance that could be reasonably covered in 10 minutes is sometimes calculated as 30+ minutes. Driver stop balancing is useless for what they consider short routes (50-100 stops). Easy to test and compare. Try it. Can sort routes quickly and effectively. Saves time, saves fuel, saves money. Hello! It’s always great to hear OptimoRoute saved someone time and money. Regarding your distance issue, contact us at support@optimoroute.com. Sounds like it’s worth investigating this to further improve your experience and results. Not much to complain about. Meets our current needs. Able to easy build routes from pre determined zones. Save labor and redundant activities of daily processes. Thank you so much for your comments! We are thrilled the solution is great for you and are excited to continue to offer tools and efficiency improvements for your business. "Works great for planning routes for inspectors at 20+ inspections per inspector per day"
Speed and export capabilities. There is also a mobile app that allows you to send routes directly to the inspectors. the map and orders list are not interactive. There are no drag and drop capabilities. each order must be edited if you want to manually schedule or move the order to a different time slot. Thank you for your feedback! We’re happy to hear that you’ve been able to reduce costs with OptimoRoute. You can add more users at no additional cost under Administration → Users, then click Add User. Feel free to email us with more wishes at support@optimoroute.com. * We monitor all OptimoRoute reviews to prevent fraudulent reviews and keep review quality high. We do not post reviews by company employees or direct competitors. Validated reviews require the user to submit a screenshot of the product containing their user ID, in order to verify a user is an actual user of the product. Hi there! Are you looking to implement a solution like OptimoRoute?